We have been providing Bar Mitzvah dancers for over 15 years. Our experienced database of dancers know exactly how to interact, engage and entertain at Bar Mitzvahs. We have male and female Bar mitzvah dancers all of whom understand the format of such a celebration. We represent some of the top dancers in the industry and are always capable of providing you with the finest Bar Mitzvah dancers. We provide dancers from all genres and disciplines such as street dancers, breakdancers, freestyle dancers & choreographers. Depending on what you want we have the dancers to suit your Bar Mitzvah. Our dancers can interact or lead the dancing by doing routines. Whatever your preference we have Bar Mitzvahs dancers to suit your requirements. If you are looking for street dancers, we have an array of suitable street dancers who will have your party hyped up. Our street dancers interact and engage with your guests to encourage them to fill the whole dance floor to create a fantastic atmosphere. 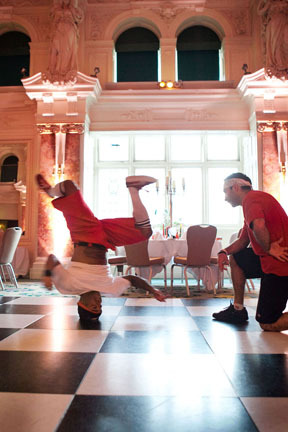 Our Bar Mitzvah break dancers are ideal for any Bar Mitzvah. 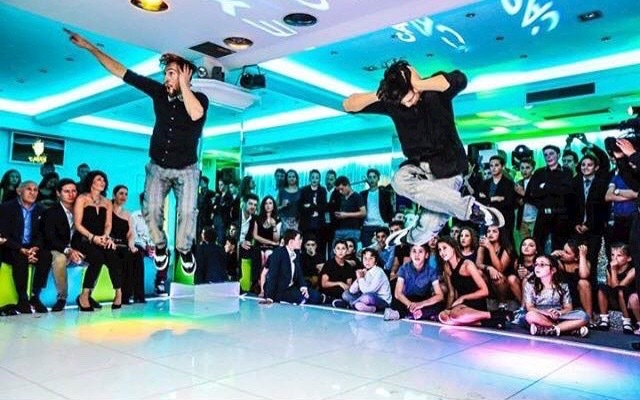 With their power moves, intricate footwork and freezes, break dancers are an awesome addiction to your Bar Mitzvah celebration. We have an array of various dance crews available for Bar Mitzvah’s. Dance crews are a collective of dancers who perform choreographed routines. There are shows that last from 5 to 20 mins long. Dance crews are a great addition to your Bar Mitzvah if you are wanting a live dance performance. Our Bar mitzvah dancers can interact or mingle as much or as little as you want. Some guests do not need any encouragement to dance while others may take a bit of persuasion! Our experienced dancers will read the crowd and respond accordingly. Our dancers come dressed and ready to party. If you are having a themed event, our Bar Mitzvah dancers will be able to adhere to the dress code accordingly. Just let us know and we will make sure the outfits / costumes fit in. If you are interested in our Bar Mitzvah dancers please fill out our quick contact form or email us on info@accelerate-productions.co.uk or call us on +44(0)20 3130 4040 or +44(0)7956 104 086.